Embossing is our name for monogramming; a way of personalized choice your purchase with us. We’re all about personal touches here at The Leatherstop and we think embossing your initials or a symbol on to your bag or accessory makes it even more special. 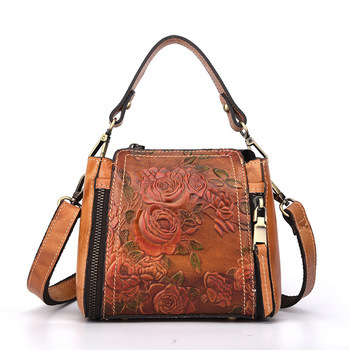 It’s available in different styles depending on the type of leather it is printed on. 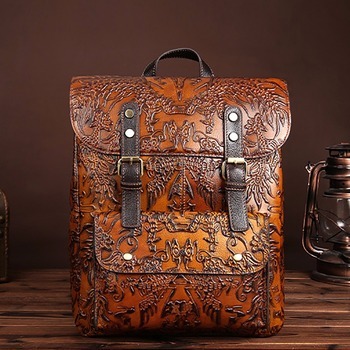 The embossing finish may vary on leathers that have a grain texture of any type, as it will vary depending on the grooves of the leather and small breaks in the foil may appear due to this. Thoughtfully designed and beautifully proportioned our Embossed bags are also soft as can be. Designed to easily access your essentials with two open compartments that close with magnetic snaps, one zippered center pocket and three inner pockets to hold smaller items. Metal feet help keep the bag upright.